Despite Ghana’s economy recording the fastest growth rate in five years, former Finance Minister Seth Terkper has criticised government for doing less with more resources. 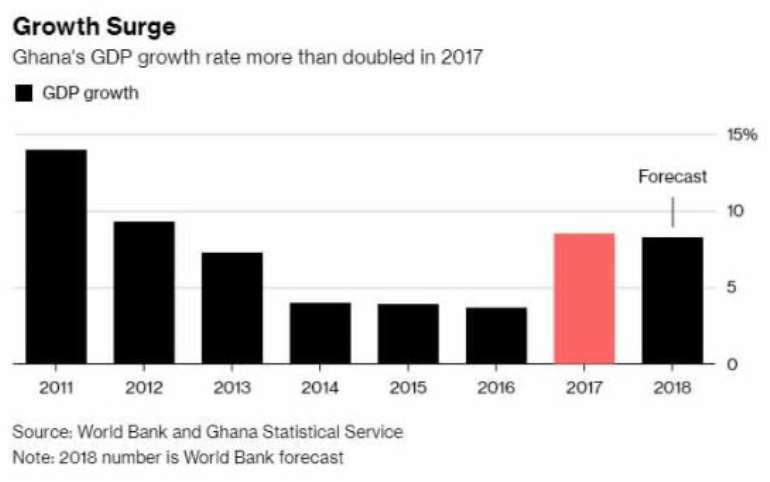 Ghana recorded 8.5% economic growth in 2017 mainly driven by oil and gas production but Seth Terkper found this uninspiring. Speaking on Joy News’ late evening news analysis show PM Express, Wednesday, Seth Terkper said the National Democratic Congress (NDC) government recorded 14% economic growth in 2011. He would not pick a more recent 2016 performance of 3.7% because he wanted to show that the NDC’s best foot forward to prove that the governing New Patriotic Party’s (NPP’s) best foot has foot rot. He also used 2011 because, the NDC government got the benefit of petrol-dollar-funded economic growth as Ghana began commercial production of petroleum in 2010. 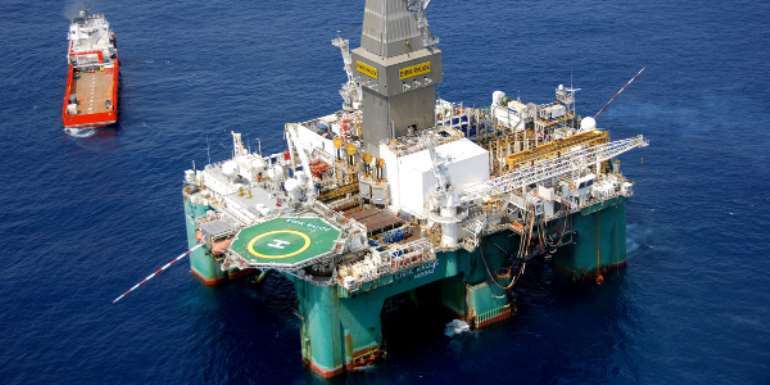 The NPP in 2018 also has the benefit of growing the economy with ‘petrol dollars’ from Sankofa oil and gas field and the Tweneboa Enyenra Ntomme (TEN) Oil Field, second largest after Jubilee and which began oil production on August 18, 2016. Seth Terkper said if the NDC government could achieve 14% GDP growth from one oil field, the NPP government cannot call 8.5% from two more fields as good enough. Oil prices have also increased under the NPP government with oil projected to hit $70 per barrel from around $60 used to draw the 2018 budget. The NPP government got 2.5bn cedis from petroleum products in 2017 and other commodity prices like gold and cocoa have gotten a boost. Seth Terpker said government failed to improve the country’s economic growth beyond the IMF projected 8% average because it relied too much on petrol dollars instead of improving other sectors he called the real sectors of the economy. But that is what the NDC did to obtain 14.4% economic growth despite having only one oil field to draw petrol dollars from. Ghana’s $43 billion economy has been closely linked to crude since it began commercial production in 2010. But the former Finance Minister said, the NPP could have done better than 8.5% if it paid attention to the non-oil sectors. He said the stagnated real sectors are stagnated because the NPP government is shifting towards consumption. A big-budget consumption item, he said is the implementation of free senior high school education which as chewed up more than 500 million dollars in two years of implementation. Finance Minister, Ken Ofori-Atta, has asked Ghanaians to sacrifice for government’s investment in human resources. But his predecessor, Seth Terkper, said a budget item like free SHS has forced government to move oil money paid into the capital budget to its recurrent budget. 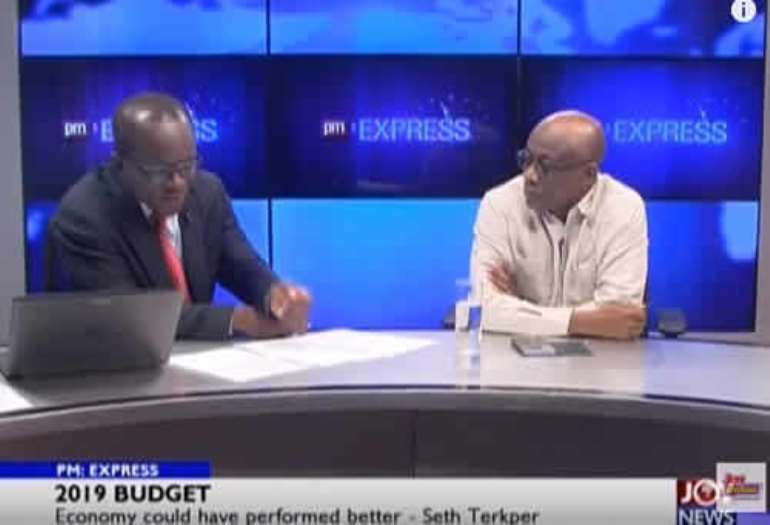 Ahead of the 2019 budget presentation next week, Seth Terkper predicted there will be further reduction in government’s capital budget to favour recurrent expenditures likes free SHS. Ahead of the 2016 general elections, the NPP, led by Dr. Mahamudu Bawumia, its economy czar and running mate to Nana Akufo-Addo, the presidential candidate, lampooned the John Mahama government of running an economy on weak fundamentals. The former Finance Minister refused to draw the political dagger on whether the economic fundamentals under the NPP are weak. Seth Terkper suggested he had not come to bury Caesar and he would also not come to praise him. He would only say some fundamentals like the petroleum sector remain strong but areas like revenue and financial sector are weak. 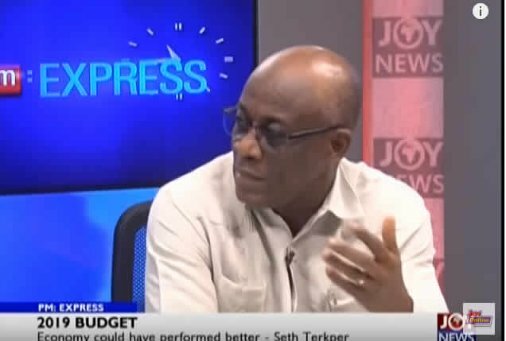 Seth Terkper’s criticism that government is doing less with more is boomerang jab used by Vice-President Dr. Mahamudu Bawumia while he was running mate in 2016. With Bawumia taking over the burden of managing the economic aspirations of more than 27 million Ghanaians, it is now the turn of Seth Terkper to tell him what is wrong with the economy.